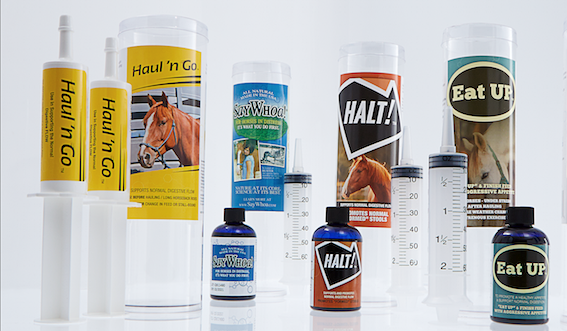 Haul 'n Go – Keeps horses on water and keeps digestive tract moving. Eat Up - Natural way to an aggressive appetite. •	HALT! 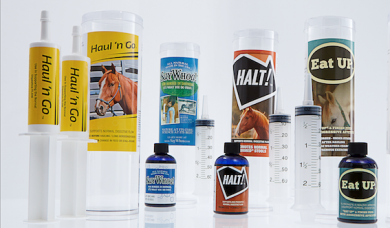 - Use to assist in watery stools, produce “FORMED STOOLS"
•	Haul 'n Go – Use Before long trailer trips. Use After severe weather change, abrupt change of feed or when notice stall bound horse with dry stools. •	Eat Up - Make a “Hay Burner" out of your horse. Natural way to an aggressive appetite. Instead of walking away from feed. He will be nickering for more!